Sao Tome is officially called Sao Tome and Principe, and it is a small island nation off the coast of Central Africa. Its economy relies on cocoa production, but it has declined due to drought and mismanagement. Nevertheless, if you wish to visit the island, you have a few attractions to keep you busy. For one thing, its lush rainforests are spectacular, and the way they reclaimed old plantations is a beautiful thing. Plus, the Obo National Park is a veritable tropical paradise. At the same time, let’s not forget that Sao Tome is surrounded by waters, which means that pristine beaches and clear blue water are everywhere. That makes it perfect for diving. Before you travel to Sao Tome, you need to see whether or not you need a visa. Fortunately, the visa policy of Sao Tome is pretty lenient. First of all, the citizens of 54 countries can visit Sao Tome without a visa and stay within the state for up to 15 days. It is not much, but more than enough giving the size of the island. Secondly, visas on arrival are available for the citizens of China, Hong Kong, and Macau. It grants a 15-day stay. 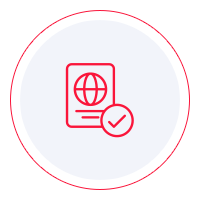 Lastly, all the other nationalities who are not visa-exempt or qualify for a visa on arrival need to obtain a visa, but they can do so through the electronic visas system. Basically, it can be got online. To see in which category you are, you can take a look at Sao Tome’s visa policy. However, you have a more convenient solution at hand, and that is iVisa’s Visa Checker. Click on the Visa Checker button located in the top-right corner, select your country of origin in the menu on the left, and choose Sao Tome in the menu on the right. The result will display whether or not you need a visa, and if you do, you will get some necessary information. While electronic visas are available for Sao Tome, iVisa does not process applications at the moment. That will change in the future, and we will add Sao Tome as a supported country, but in the meantime, we would like to help however we can. That is why our support service is at your disposal if you need information. The service is available non-stop, and it is free of charge. As far as the requirements are concerned, you do not need to worry about them either. They are easy to meet. At the same time, you need to contact the visa service to see precisely what they are. The information available online is not always the most reliable. What we can tell you is that in all cases you need a valid passport that does not expire for at least another 6 months from the date of arrival in Sao Tome. Other than that, you need to make the proper inquiries. We regret that we cannot help you any further with your Sao Tome visa application process, but we do hope that the information disclosed above is somewhat useful.